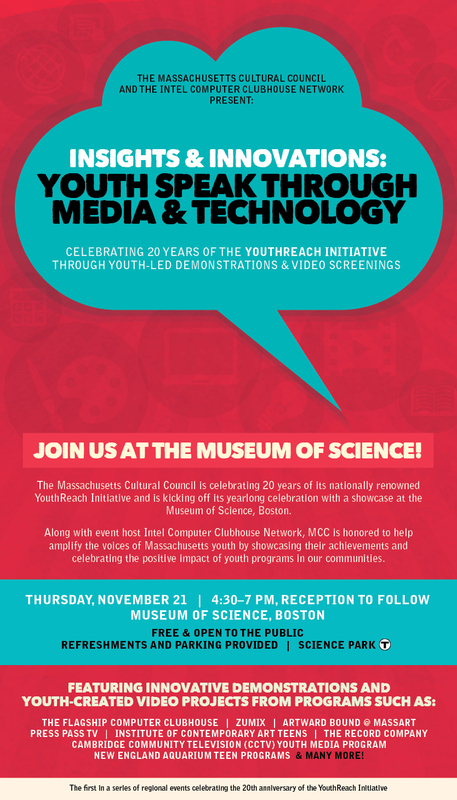 Don’t forget next week’s event at the Museum of Science Boston – Insights and Innovation: Youth Speak through Media and Technology – celebrating 20 years of YouthReach through youth-led demonstrations and video screenings. 4:30-7:00 pm with a reception to follow. RSVP now.